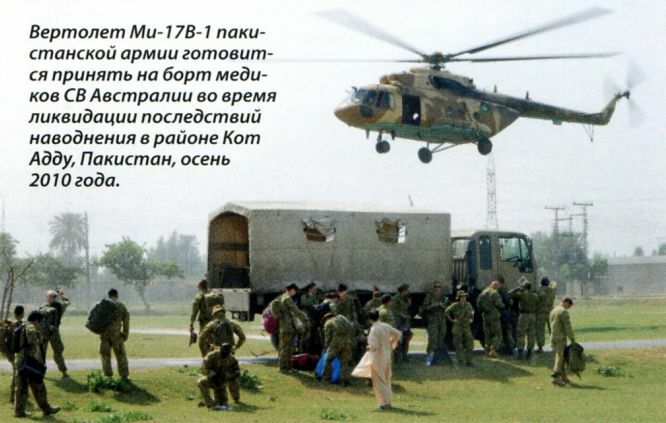 В 1997 году была создана новая серийная базовая модификация - Ми-8МТВ-5 (Ми-17В-5), отличающаяся задней рампой вместо двухстворчатого грузового люка и рядом других усовершенствований. 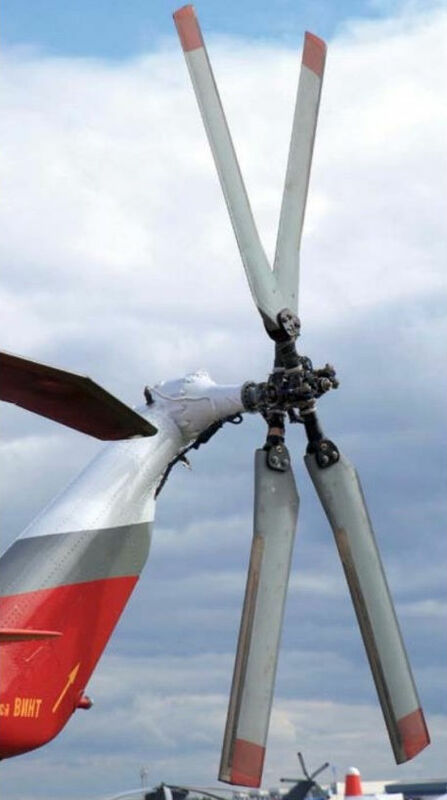 На Ми-8МТШ, вооруженном варианте Ми-8, установлен прицельный комплекс от Ми-24. ВВС России закупили 20 таких вертолетов, которые базируются в Кореновском районе, Краснодарский край. 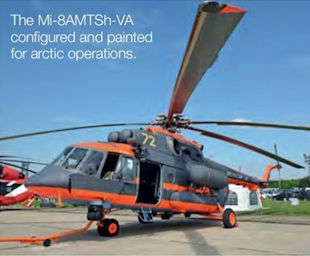 The first Mi-8AMTSh-VA was delivered to Russian Naval Aviation in November 2016 and assigned to the Pacific Fleet's 7060th Air Base at Yelizovo on the remote Kamchatka Peninsula. 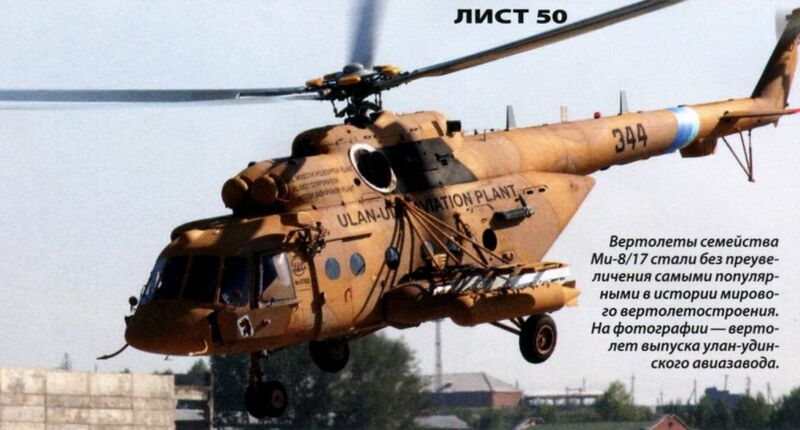 Mi-8MTV-5 RF-90672 armed with one UPK-23-250 gun pod on the inner port outrigger pylon and a B8V-20 rocked pod on the inner starboard pylon. 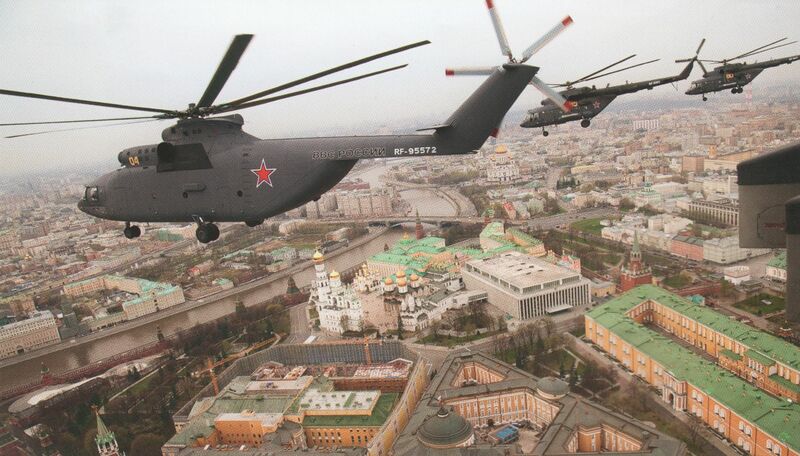 The Mi-8MTV-5-1 is a new-generation tactical transport rotorcraft operated by the Torzhok centre in addition to three frontline units, all of them stationed in the Western Military District, each equipped with one squadron flying the type. 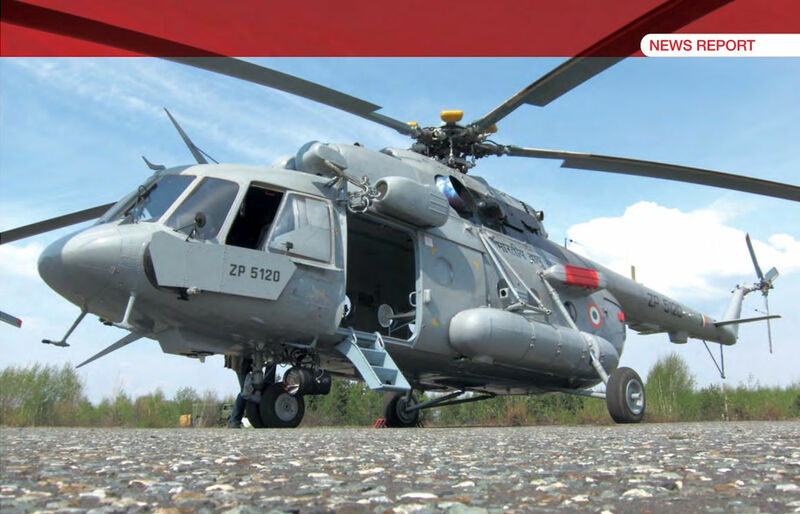 Вертолеты семейства Ми-8/17 стали без преувеличения самыми популярными в истории мирового вертолетостроения. 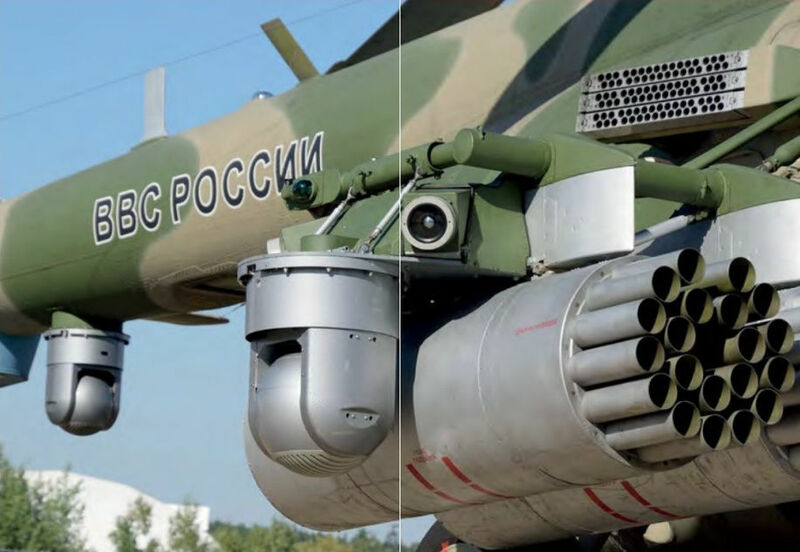 На фотографии - вертолет выпуска улан-удинского авиазавода. 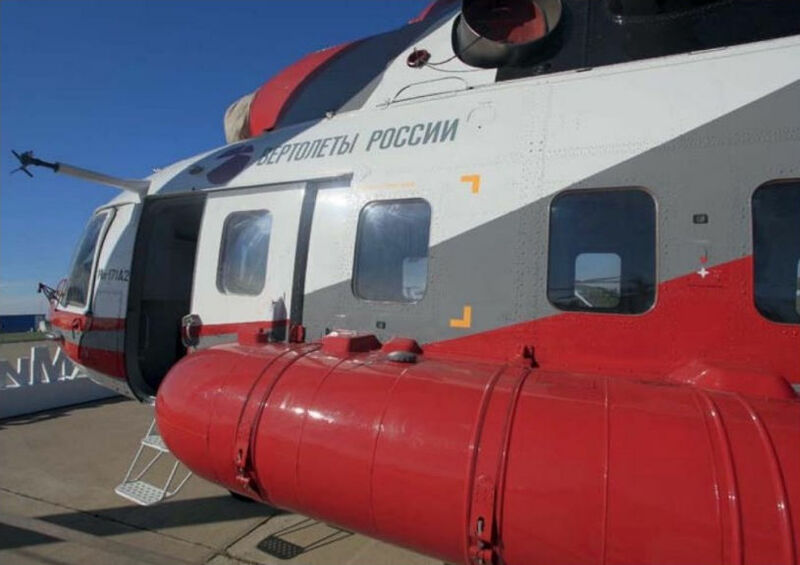 Модернизированный Ми-8МТВ-5 (Ми-17МД) выпуска Казанского вертолетного завода. 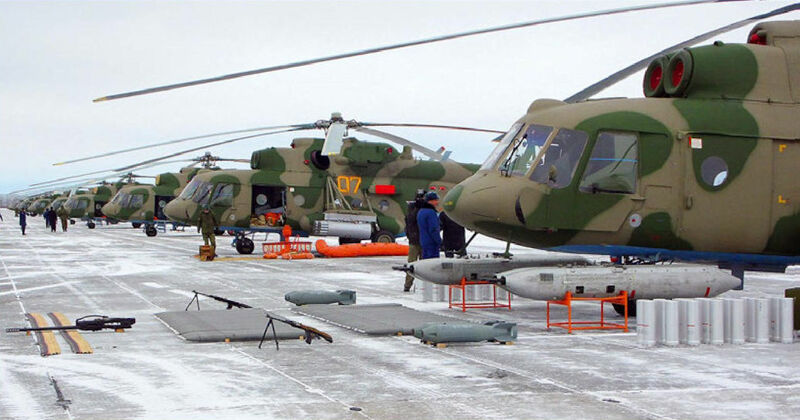 Отличительные особенности - современная РЛС, композитные лопасти несущего винта, система аварийного приводнения, современное БРЭО, увеличенная масса груза и внешней подвески и др. 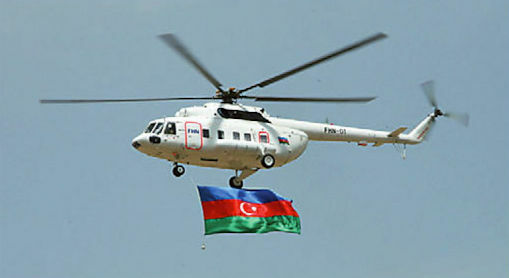 Индия в мае 2000 года заказала 40 машин. 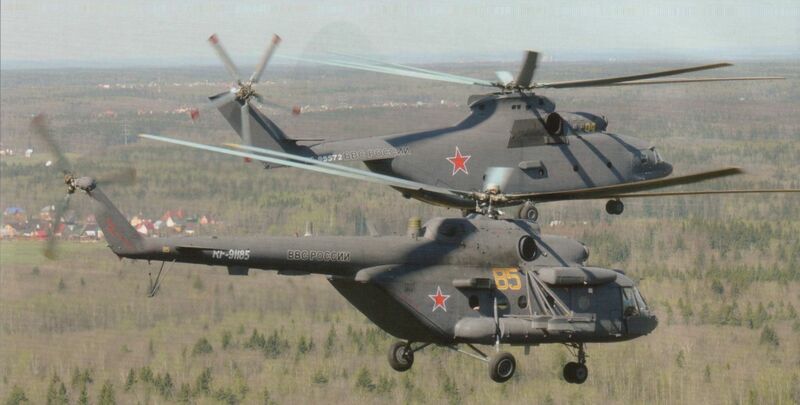 The Mi-8AMTSh-037’s Vitebsk L370E8 self-defence suite. 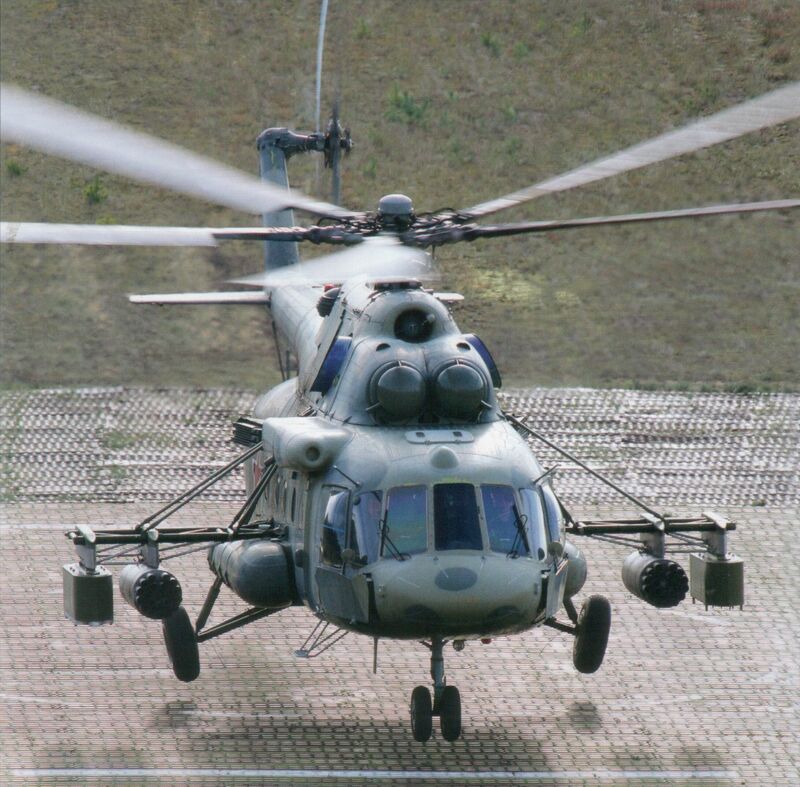 Configured with ECM for jamming enemy air defence radars, the Mi-8MTPR1 Rychag is the only in-production Russian helicopter. 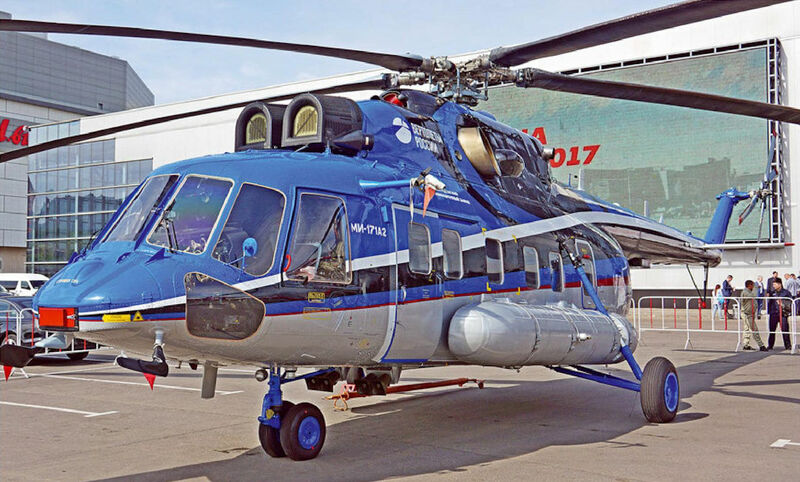 The new derivatives of the Mi-8/Mi-17/Mi-171, such as this UTair Mi-8AMT, are more expensive than the Mi-8T/P in price and direct operating costs. 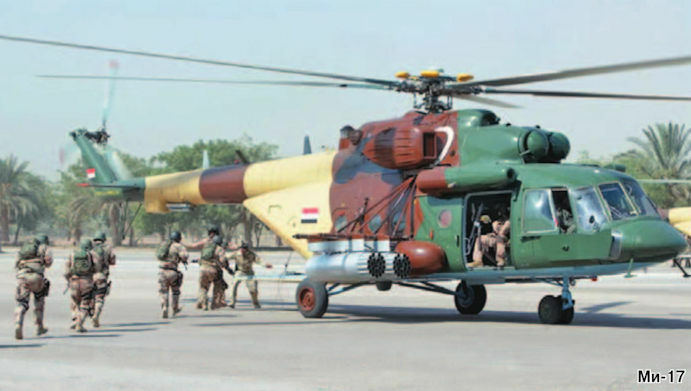 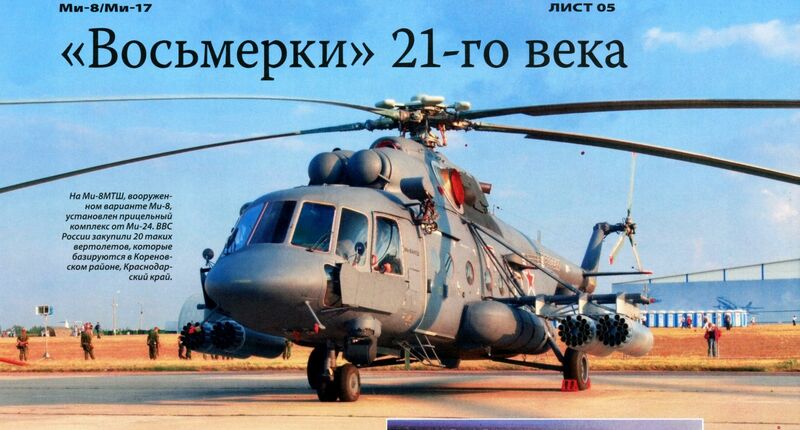 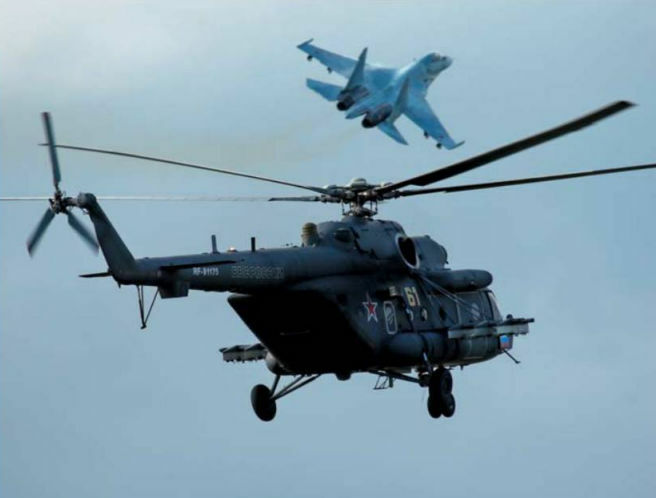 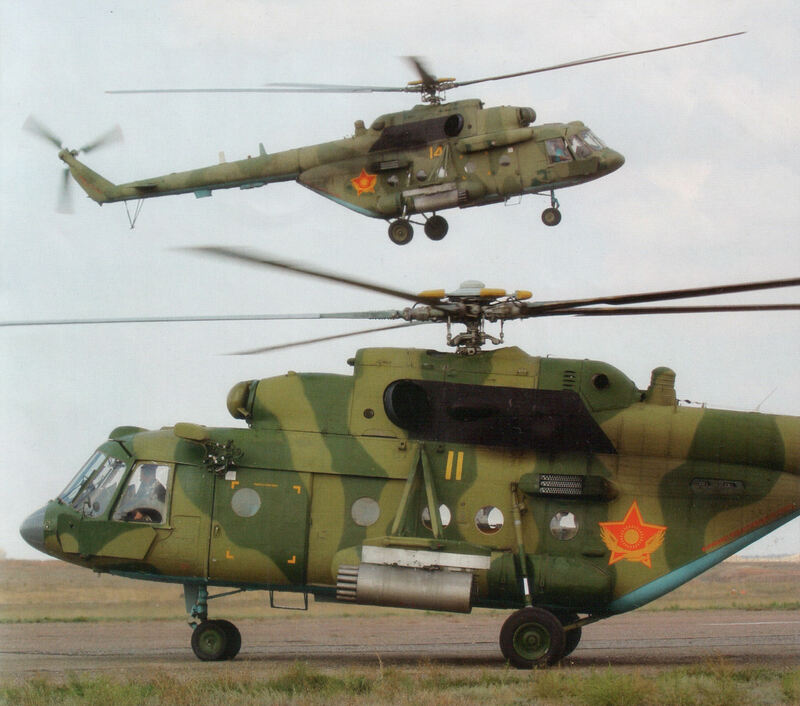 Most, if not all, existing Mi-8T operators do not see them as direct replacements. 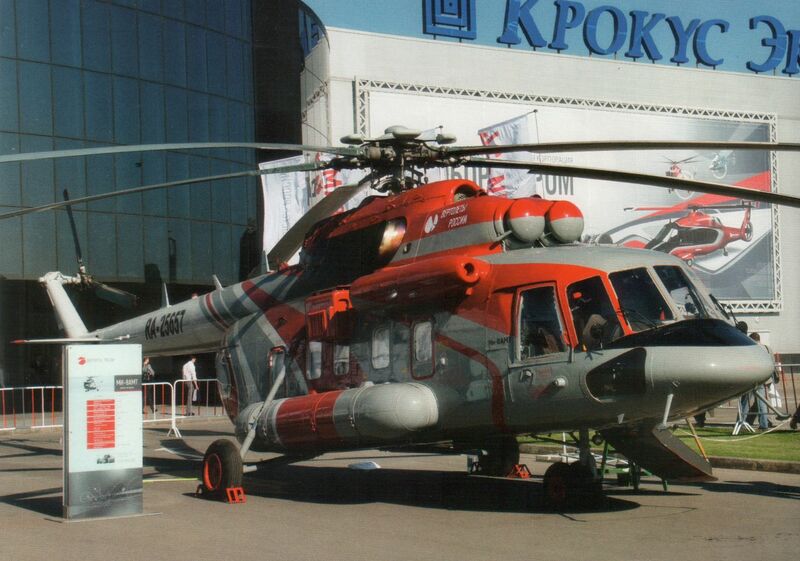 The current production-standard Mi-171A (this one is operated by UTair) is now regarded as an ageing design and Russian commercial operators have raised requirements for a more modern aircraft featuring a rapidly re-configurable cabin and a type certification in accordance to European and US airworthiness requirements. 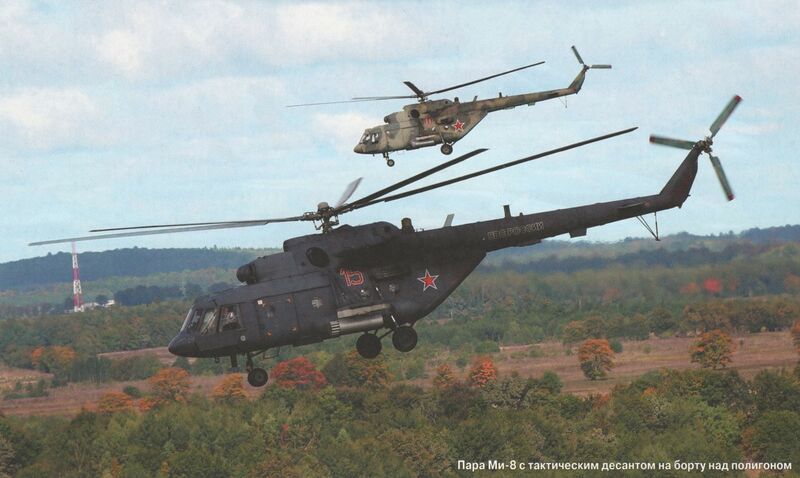 The first Mi-171A2 prototype, OP-1, making its maiden flight on November 25, 2014. 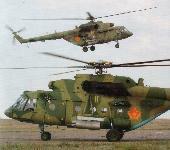 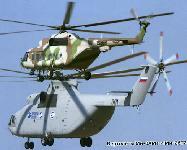 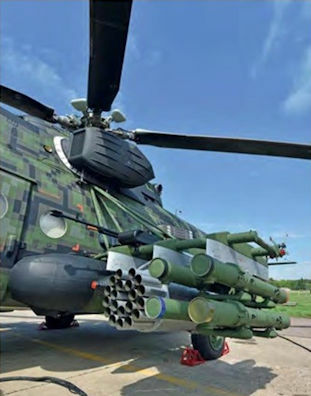 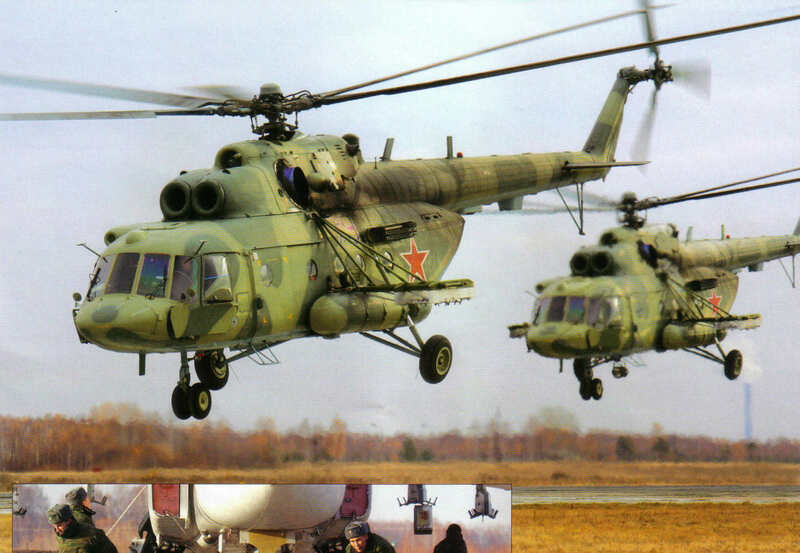 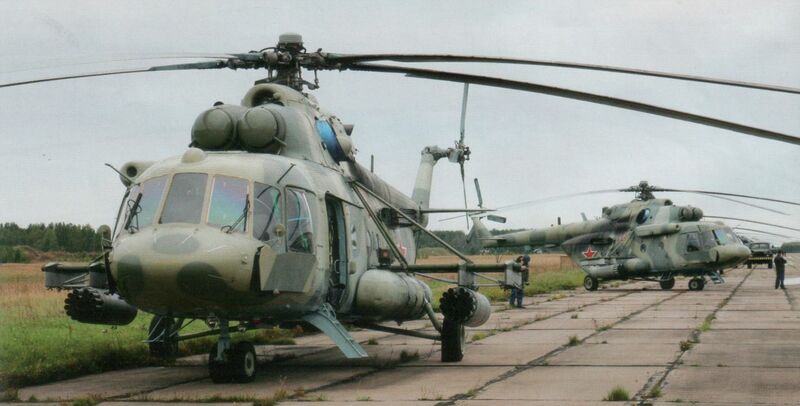 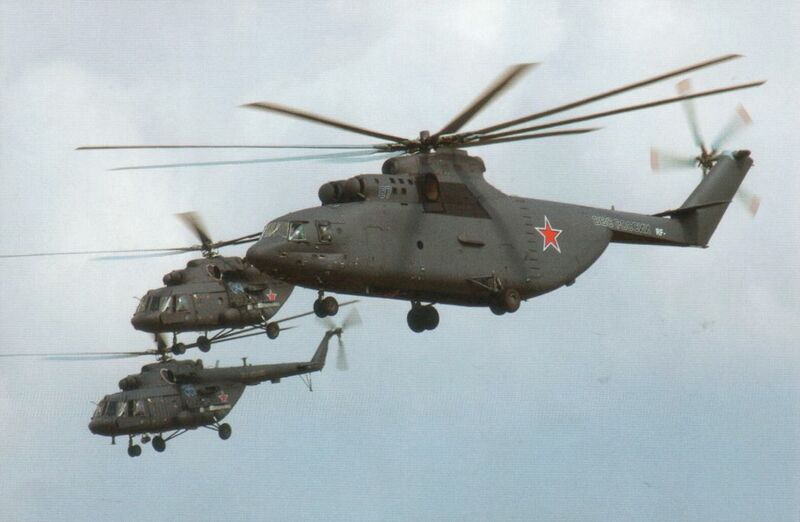 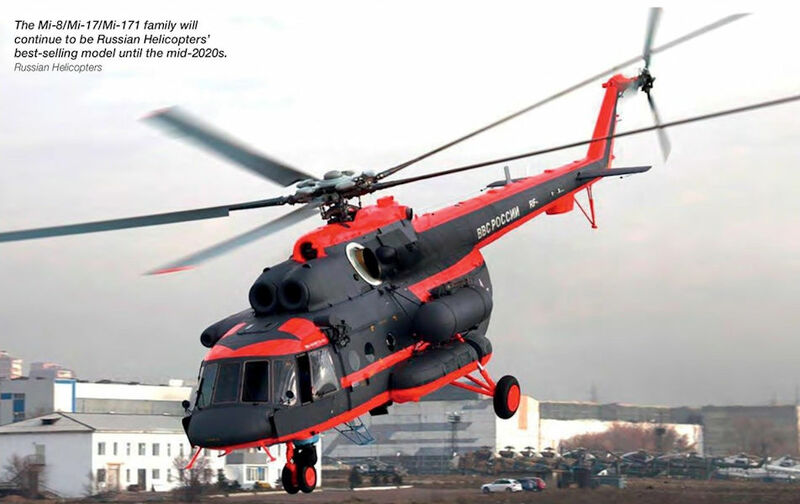 The Mi-171 A2’s rotor hub and blades were derived from those fitted to the Mi-38. 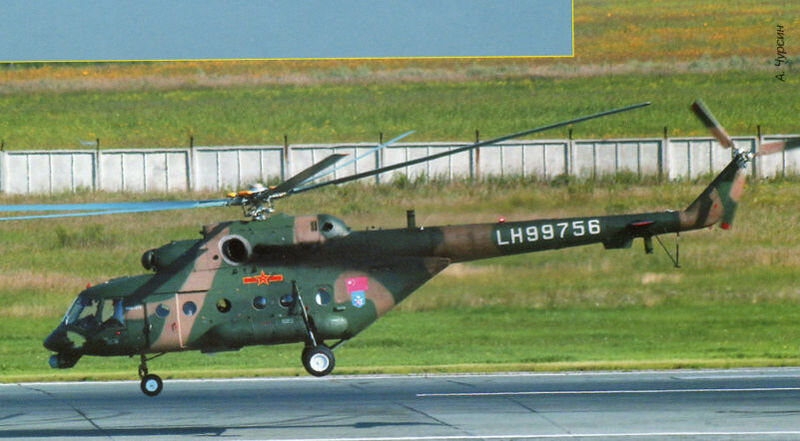 The first prototype Mi-171A2 (OP-1) pictured during its public debut at the MAKS airshow at Zhukovsky near Moscow in August 2013. 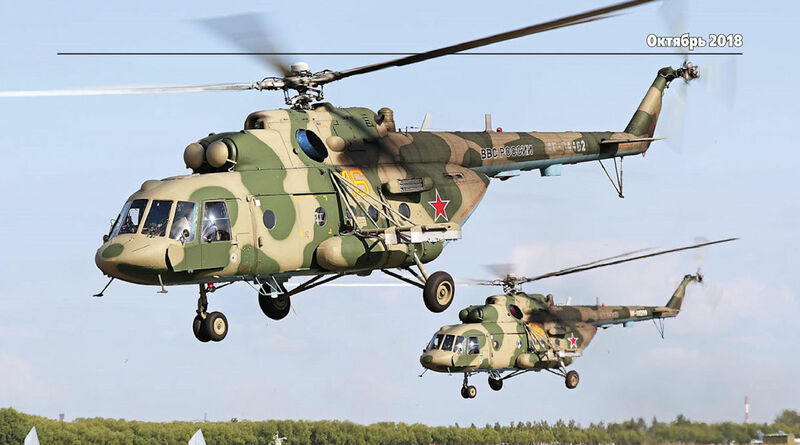 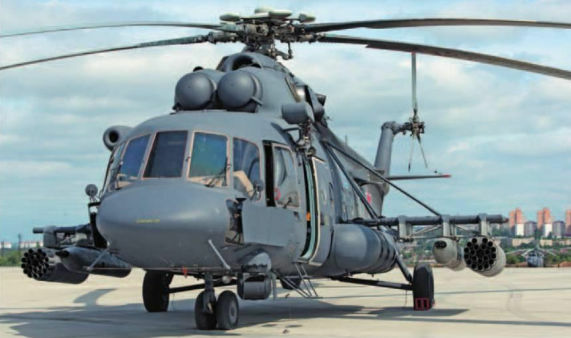 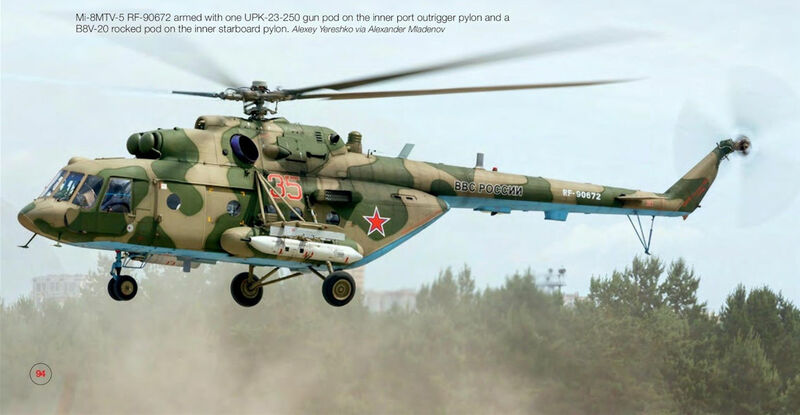 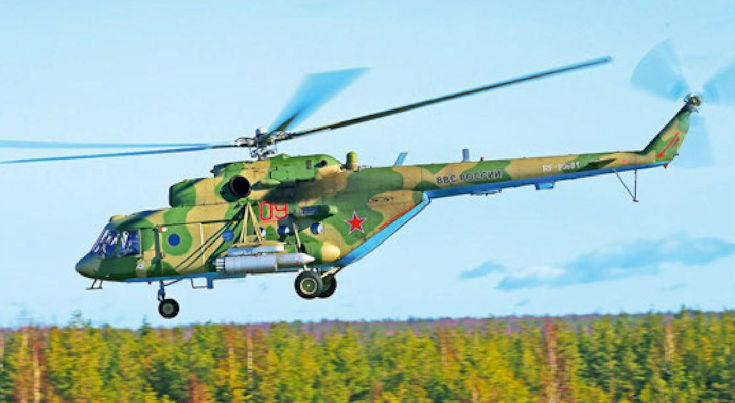 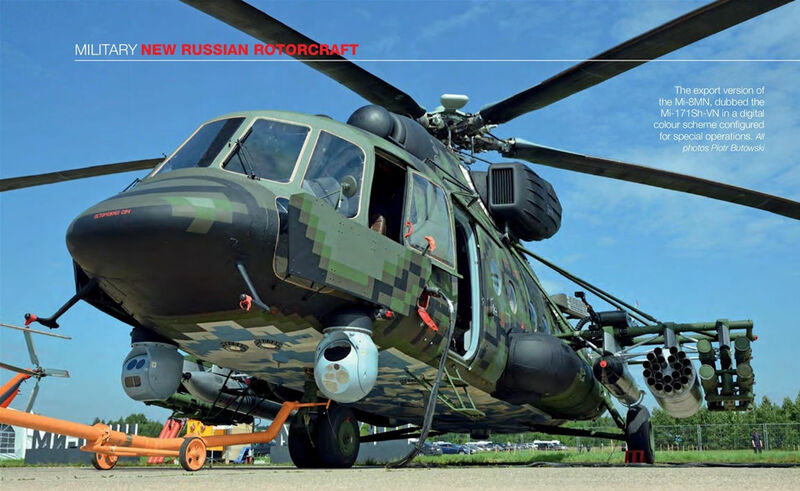 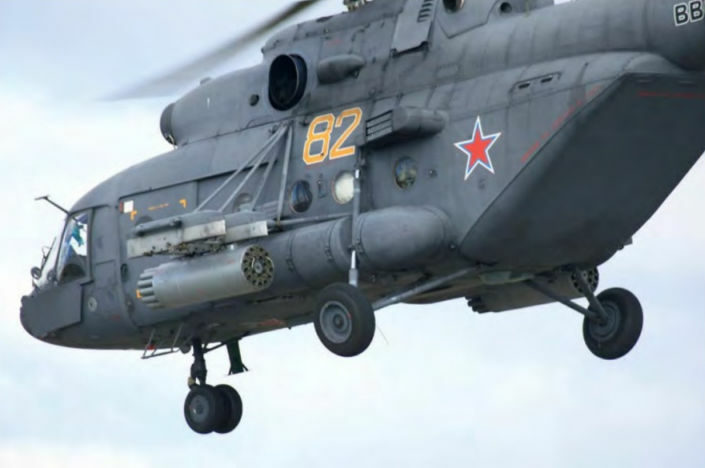 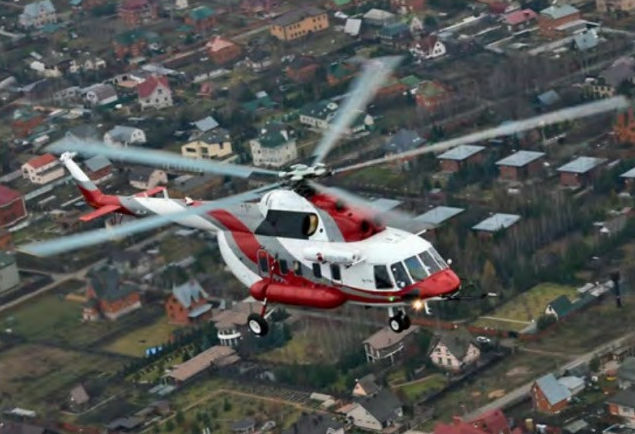 An attractive payload/range capability and a considerable increase in the cruise speed are promised for the Mi-171A2 due to the all-new rotor system and more powerful and fuel-efficient engines. 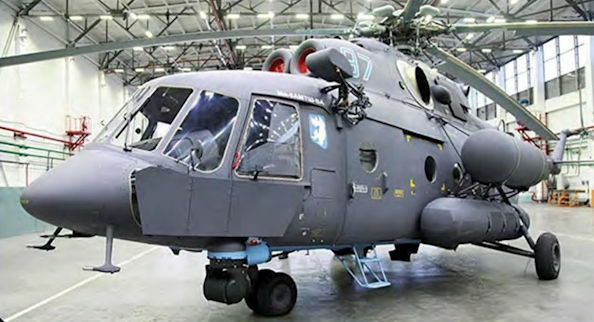 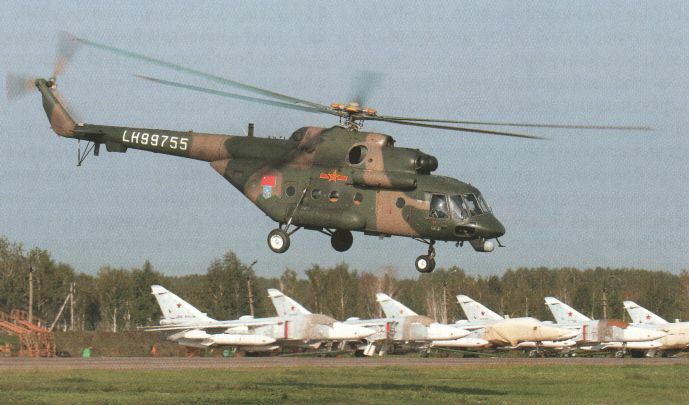 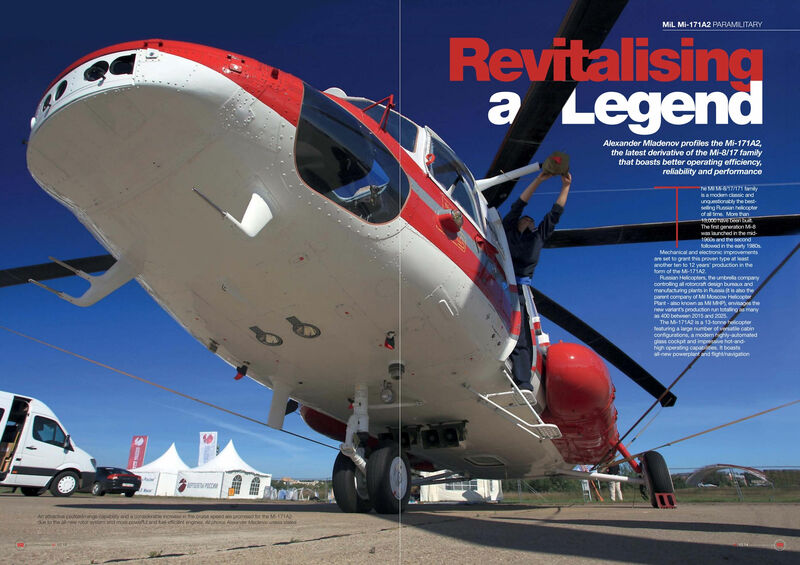 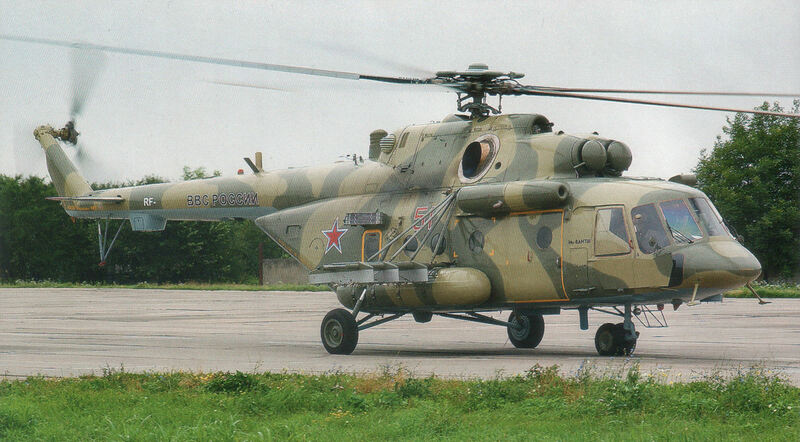 Only minor cosmetic changes were made from the Mi-171's external layout to reduce development time and costs. 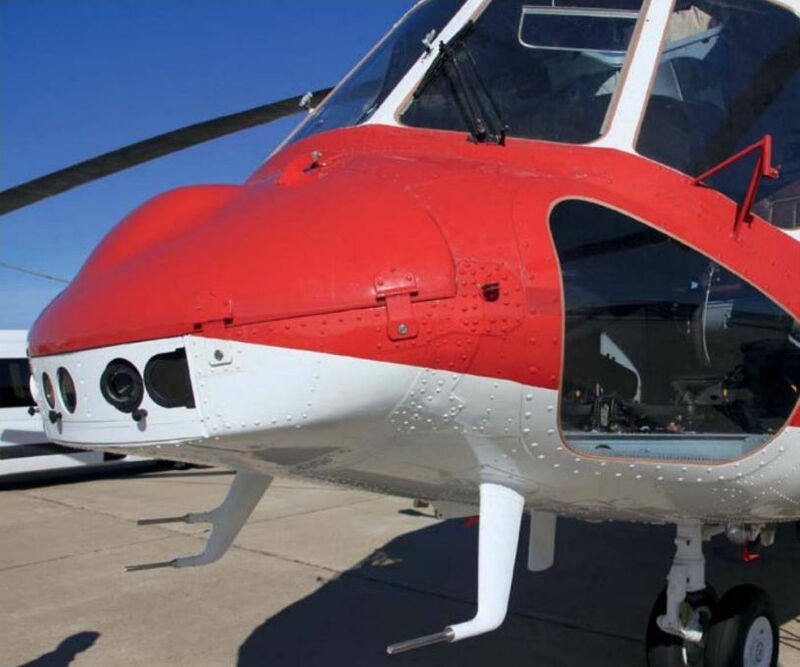 A forward-facing KOS-17 camera, mounted in the nose of the helicopter, covers a 120° arc in the horizontal plane for enhanced situational awareness. 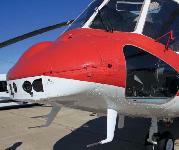 The X-shaped tail rotor provides better efficiency and produces 20% less noise. 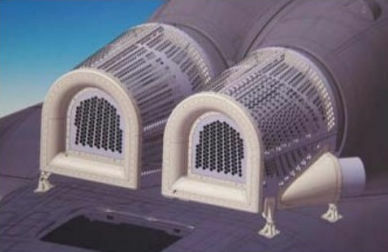 Pall intake filters are intended to provide reliable operation and save the engines from wear and tear in dusty and sandy conditions. Поставляемые на экспорт вертолеты модификации Ми-8АМТ получили обозначение Ми-171 (имеются подварианты). 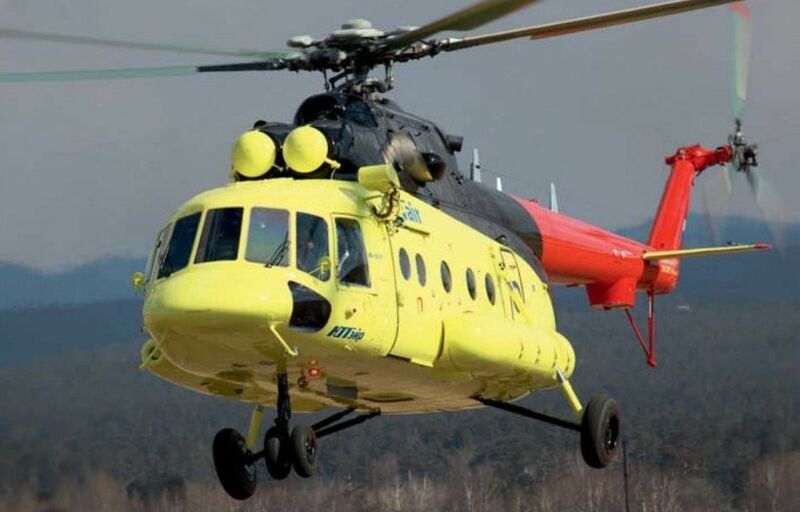 Недавно Ирак закупил партию модифицирован¬ных вертолетов Ми-171Э. 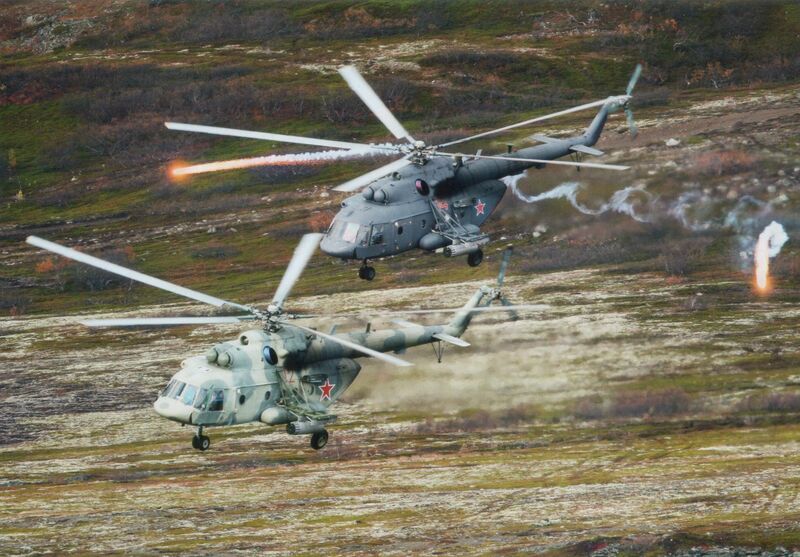 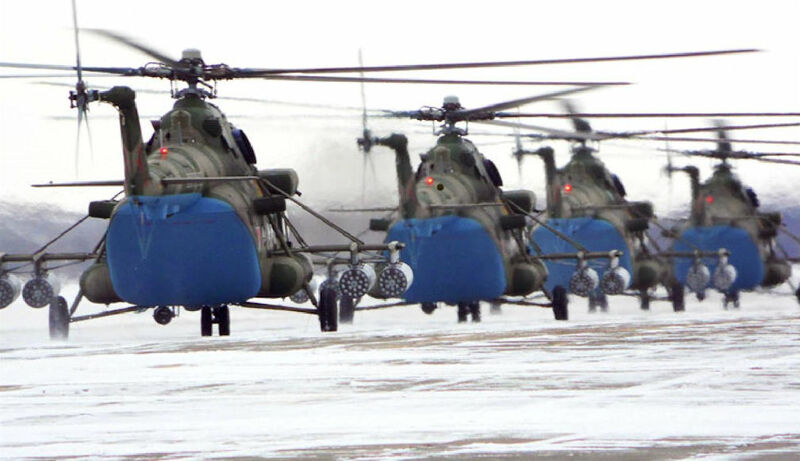 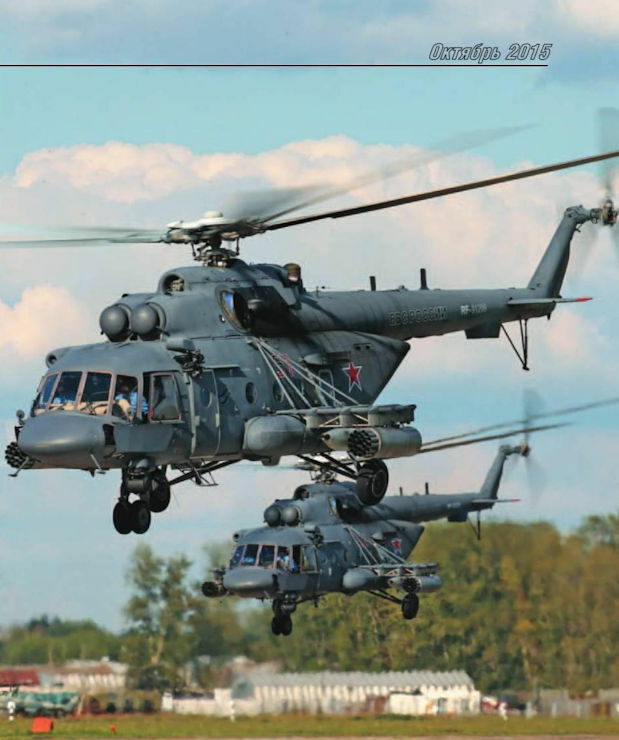 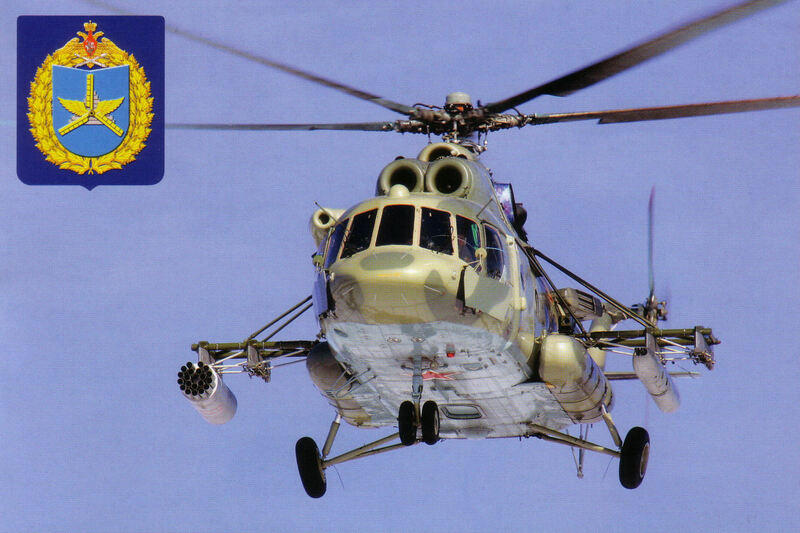 Kazan’s booming business since 2010 was achieved from two Indian military orders for a total of 151 Mi-17-V5s. 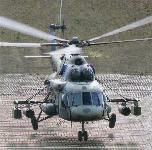 An order for 48 more is expected within the next 12 months. 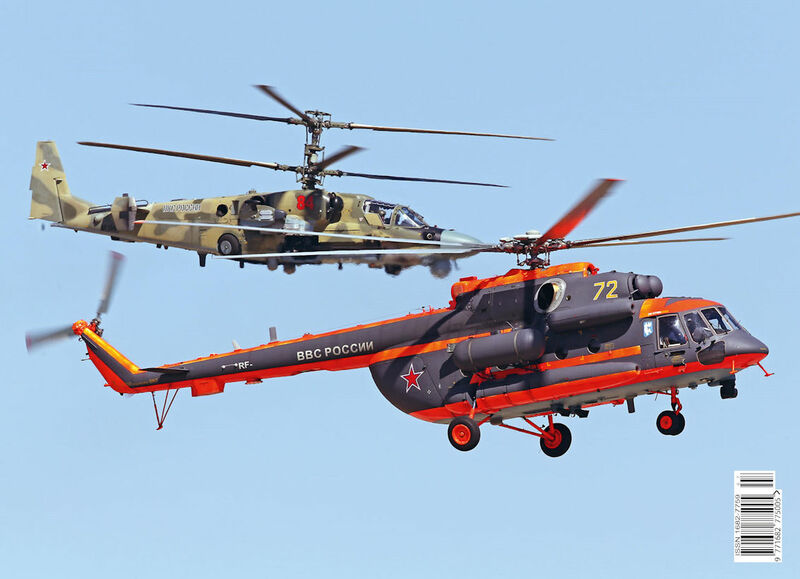 Авиация и Космонавтика 2013-04 / И.Кудишин - "Аэроиндия-2013"
«Вертолеты России» рассчитывают до конца года подписать контракте Индией на поставку 48 Ми-17В5, сообщил журналистам глава холдинга Андрей Богинский: «Надеемся, что до конца года выйдем на подписание контракта с Индией по Ми-17В5 и соответственно в 2018 г. поставим первые вертолеты». 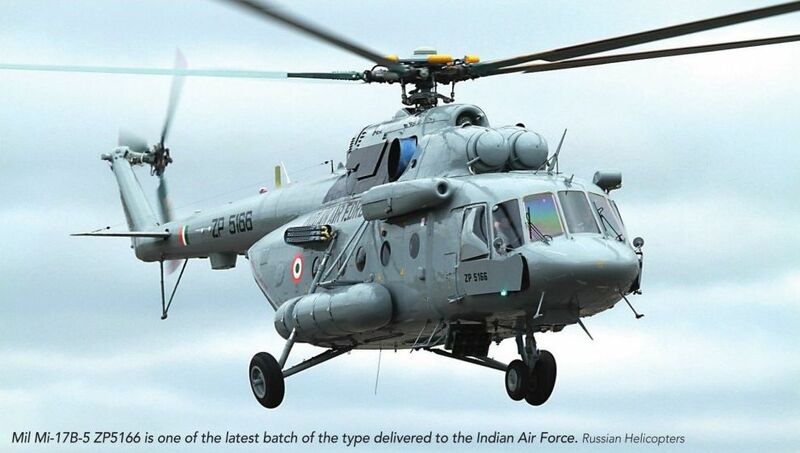 Mil Mi-17B-5 ZP5166 is one of the latest batch of the type delivered to the Indian Air Force. 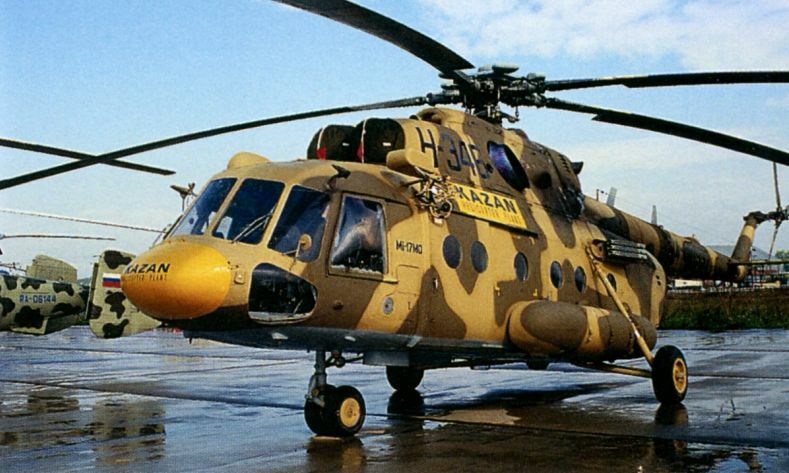 Ми-171Ш Армейской авиации HOAK. 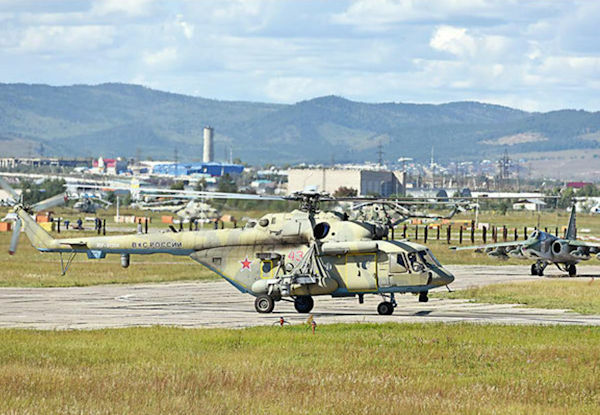 Новосибирск, 19 августа 2013 г.
Ми-171 (зав. 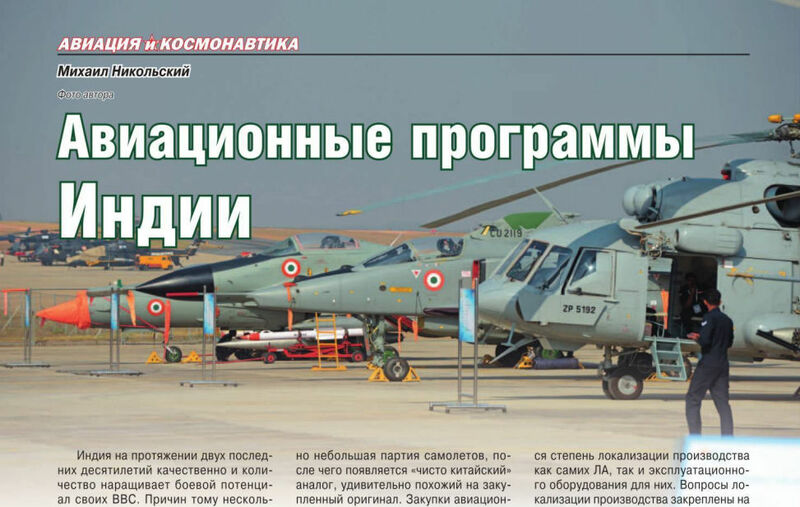 № 171C.00.496.07.1810U) авиакомпании Mongolyan ALT, сентябрь 2014 г.
Один из двух новых Ми-171 ВВС Монголии. 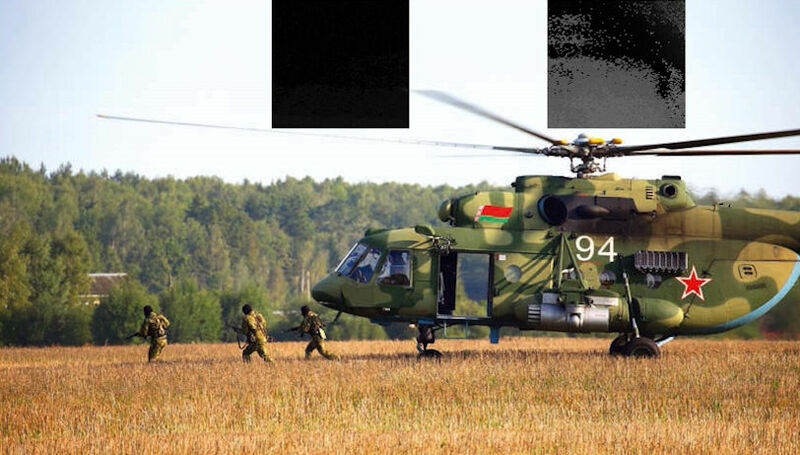 Не ранее 2014 г. 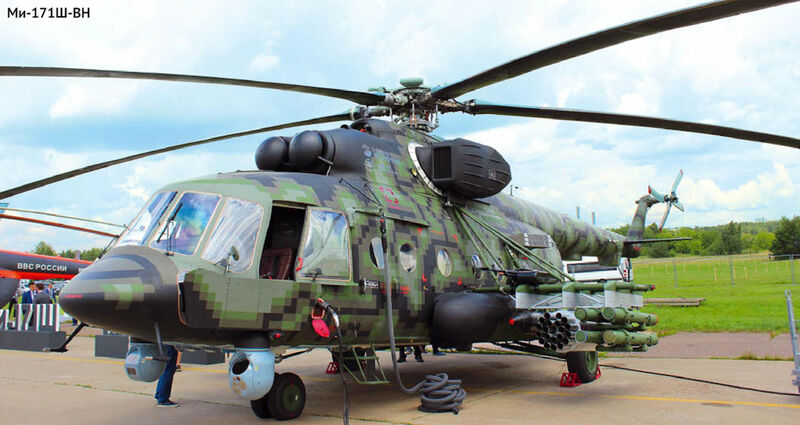 Recently delivered Serbian Air Force (Ratno Vazduhoplovstvo i Protivvazduhoplovna Odbrana - RViPVO) Mil Mi-17V5 was displayed to the general public for the first time at the Batajnica Air Base open day on October 1, 2016. 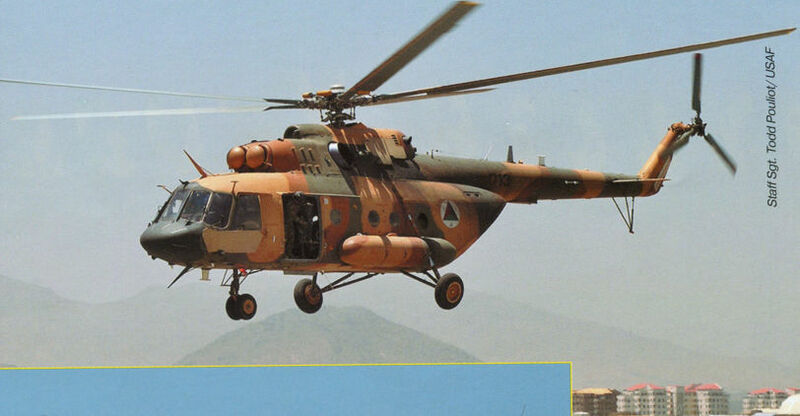 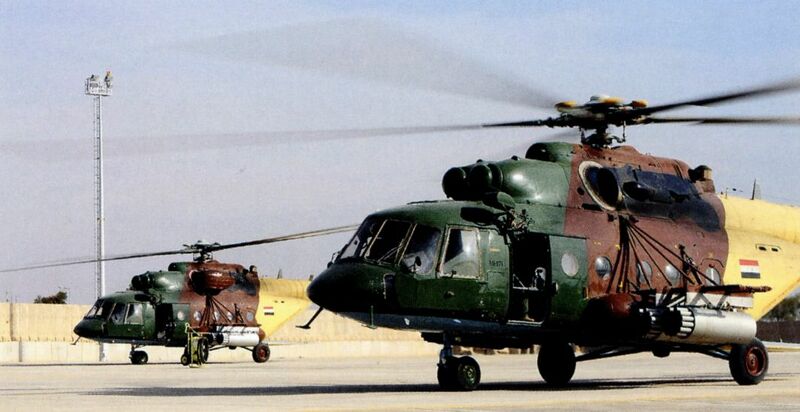 One of two Mi-17V5s was in the static display, serial number 12491, while aircraft 12492 took part in a combat search and rescue demonstration with an SA342 Gazelle. 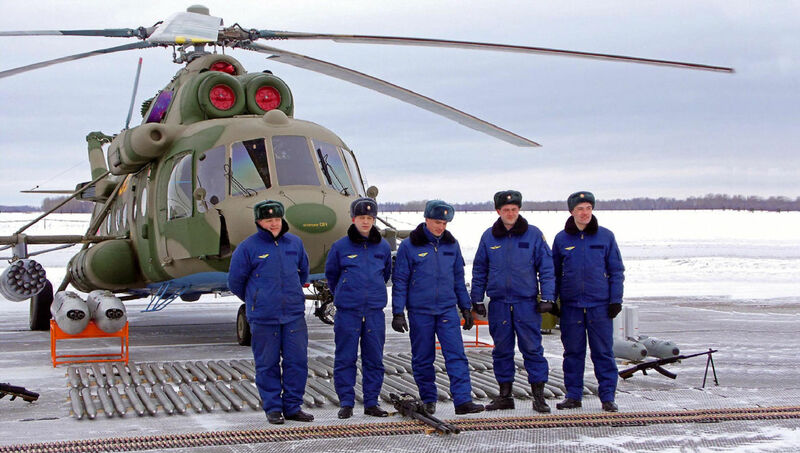 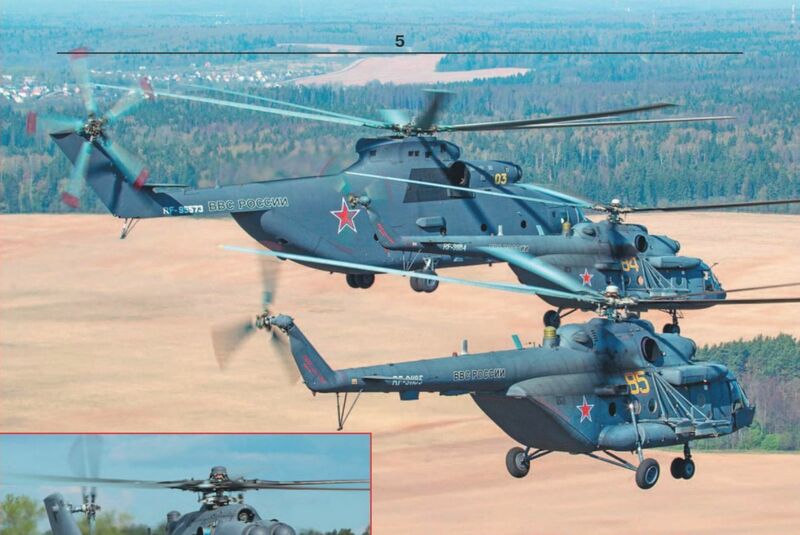 The brand-new helicopters were delivered from Russian Helicopters/Kazan Helicopters in late June and are assigned to the 890. mesovita helikopterska eskadrila (890th Combined Helicopter Squadron), part of the 204. vazduhoplovna brigade (204th Aviation Brigade) at Batajnica. 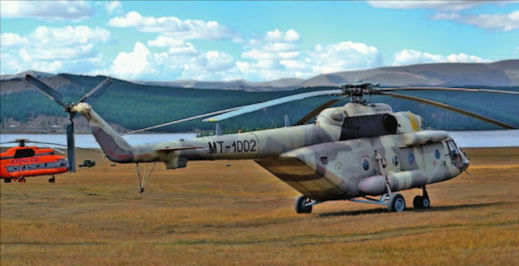 Ми-171Е (зав. 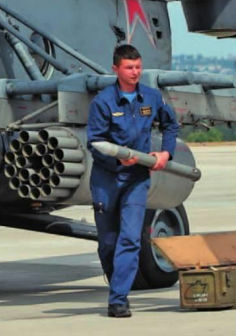 № 171E.00.364.07.3505U) спасательной авиаслужбы Красного полумесяца Ирана. 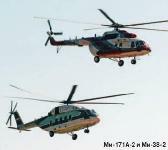 Аэродром Киш, 10 ноября 2010 г.
Ми-17 из 377-й эскадрильи ВВС Афганистана. 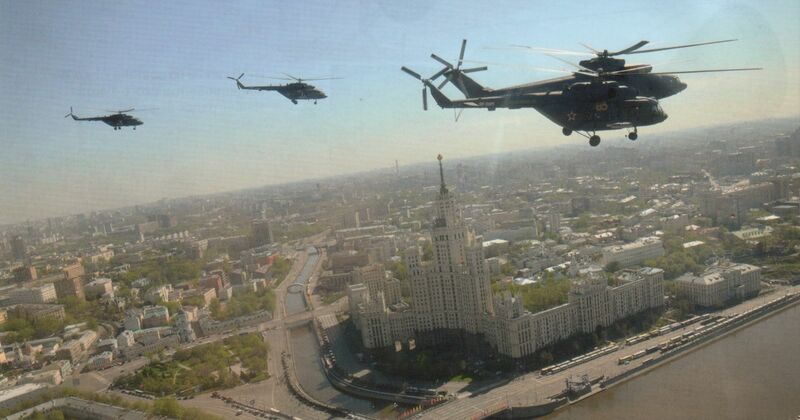 Кабул, 29 мая 2015 г. 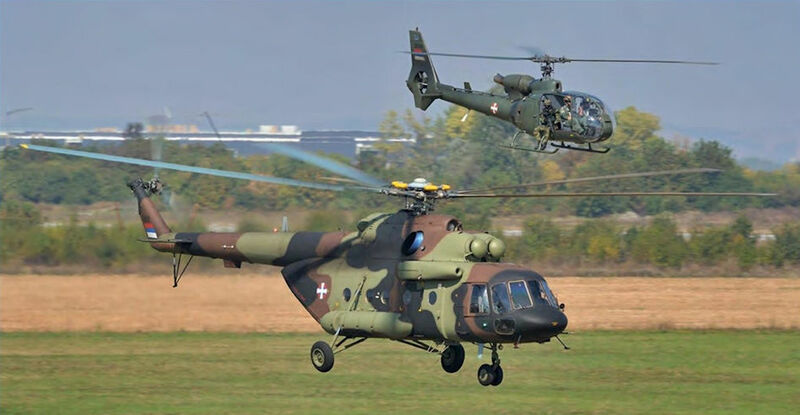 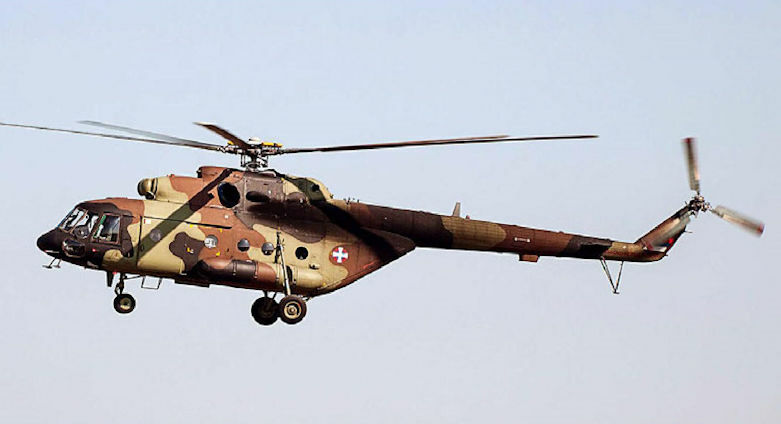 There is considerable support within the Hungarian armed forces for new Mi-17s, a type that is familiar and well liked by air and ground crews, and by the troops they support. 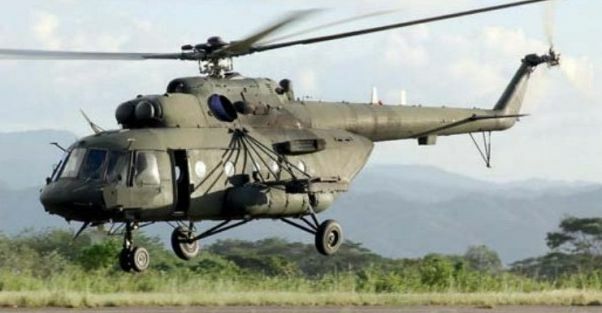 The main prospect is an even more refined version of the Mi-17V-5, similar to this example in service with the Venezuelan Air Force. Both Mil Hips operated by the Sudanese Police Air Wing were noted at their home base at Khartoum International Airport in mid-December, 2013. 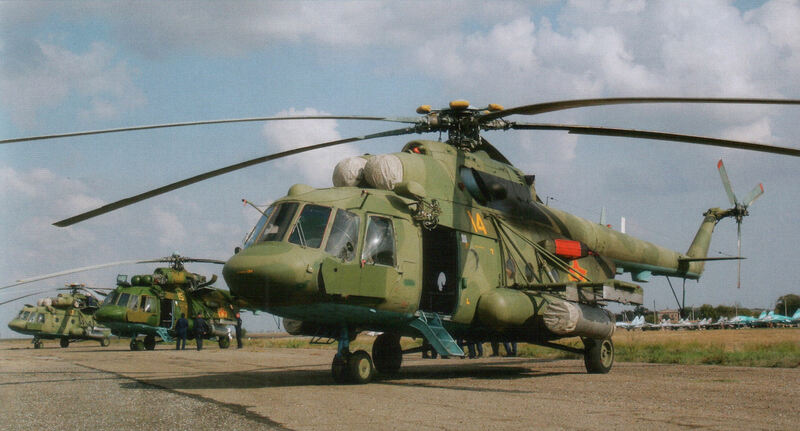 Mi-171 100 (c/n 59489605704, ex OB-1646) can carry up to 22 people in its cabin and has clamshell rear doors. 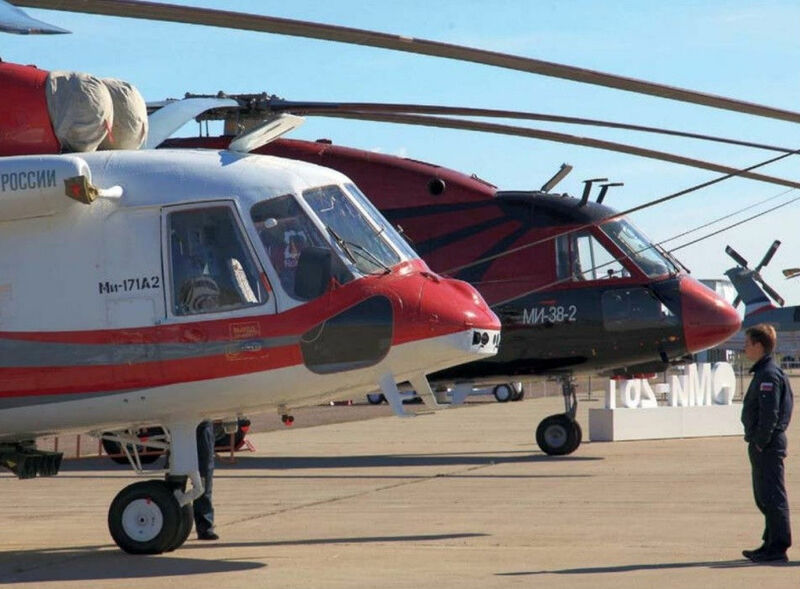 It was previously operated by Amazon Helis in Peru. 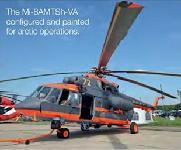 Ramp-equipped Mi-17-V5 101 (c/n 736M07) was delivered new and is configured for 16 seats.